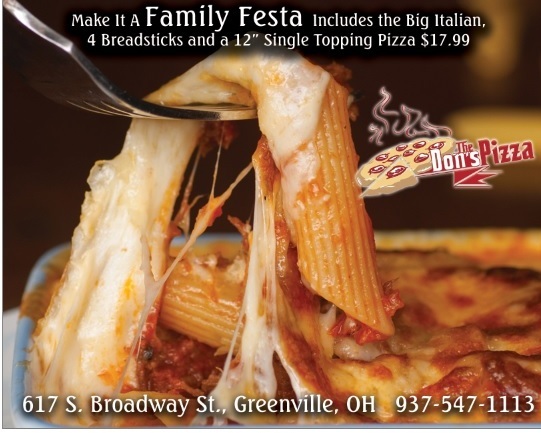 The Don’s pizza is your independent and locally owned pizza restaurant located on Broadway in Historical Greenville. 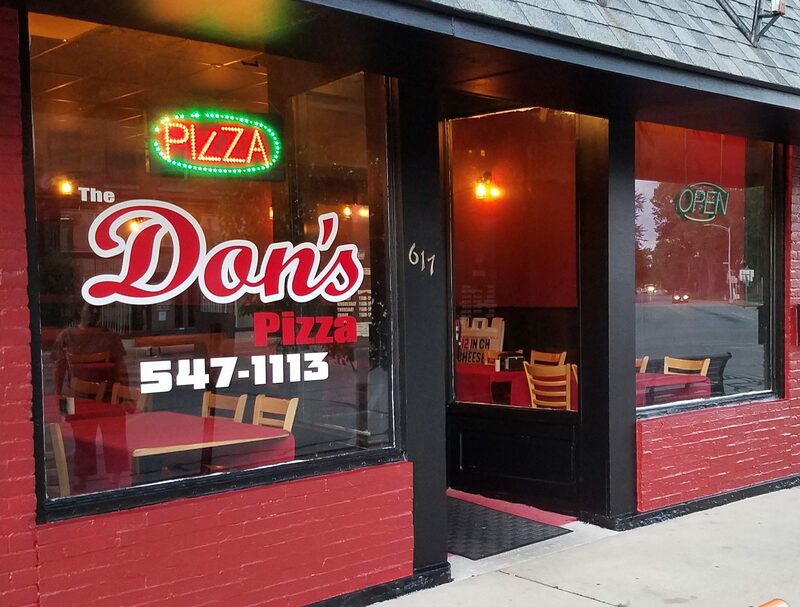 Stop in and see our newly renovated dining room and let The Don’s Pizza become part of your family’s tradition. Featuring homemade pizza, Pasta, subs, hoagies and many appetizers. 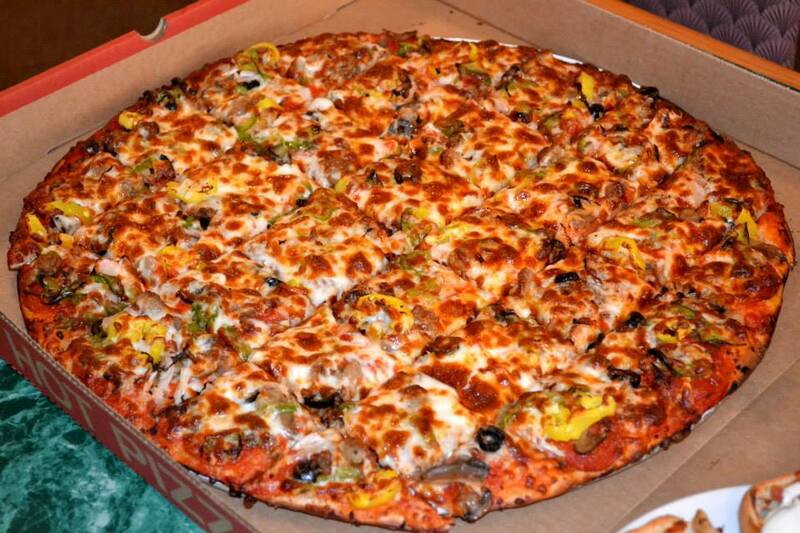 Dine-in, pickup or free delivery! Be sure to check out our current promotions by clicking the “Deals” Link! *free delivery limited to addresses within three miles of our restaurant.